DAB radio for 1974 E type. #1 DAB radio for 1974 E type. my husband has a 1974 E type and would like to fit a Dab/Am/FM stereo in it. I offered to find one for his birthday and I'm struggling. Can anyone offer any suggestions please? #2 Re: DAB radio for 1974 E type. Can you say whether your husband will be happy to fit it or need to have done for him? Also a budget would help. I've fitted a simple Pure DAB circa £70 bought from Halfords ( ) it does the job, BUT there's no way I'd ask them to fit it for me. If you will need someone to fit it the cost will include their time and would your husband be happy to have just anyone pulling the centre section out to get to wiring? Have a think of how you want to get the job done and maybe someone can recommend a local fitter. #3 Re: DAB radio for 1974 E type. He has someone he trusts to fit it. He could probably do it himself though if needed. I don't really have a budget as I just want to make sure it's a good one and looks nice in the car. I think he wants one that looks more in keeping with the age of the car, I remember seeing someone at a stand on a car show we went to, I might just have to google them and also go and have a look in Halford's. #4 Re: DAB radio for 1974 E type. There are others around who deal in old car radios modernised to play DAB etc. There have been comments on the forum, too. Try a search here for "radio" and I'm sure you'll see some other ideas. #5 Re: DAB radio for 1974 E type. 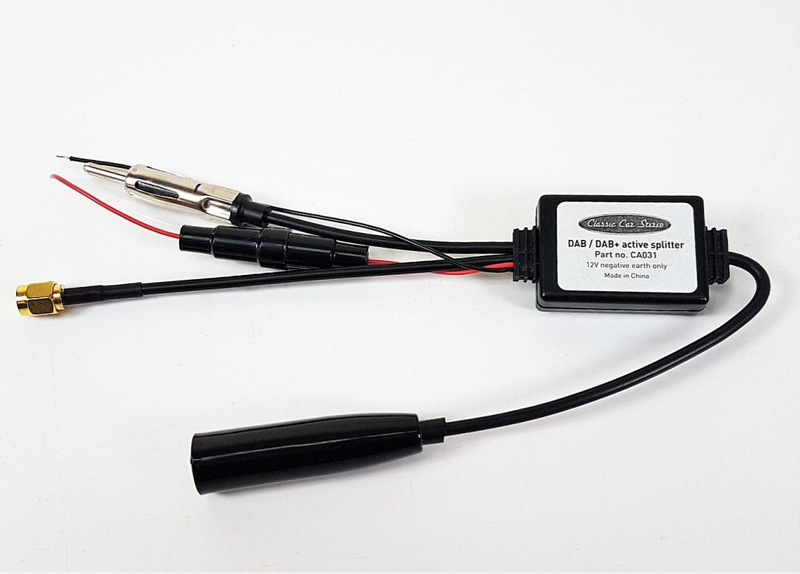 #6 Re: DAB radio for 1974 E type. Thank you, I didn’t know about that issue. I’ll probably hacmve to speak to him about it before I spend over £300 on the one I’ve found! #7 Re: DAB radio for 1974 E type. No idea how effective they are but worth a try for £20. I suspect it will worsen FM reception and will only pull in strong DAB signals. Make sure you buy a radio that is DAB+ not just DAB. #8 Re: DAB radio for 1974 E type. Just installed one of these FM/DAB - splitters and found it working fine. FM-Reception was as good as before and DAB+ worked as it shall. #9 Re: DAB radio for 1974 E type. Well, I have one of those in my E-type and despite much fiddling and fitting of the DAB adapter module, so far it is next to useless. I need to speak with them. When first fitted (without adapter) it tuned FM fine but got no DAB from the rear mountes electric aerial. The DAB adapter was fitted an I could tune in DAB stations at home but drive 15 mile down the road and get serious interference type output. On top of that it will not tune any FM stations. #10 Re: DAB radio for 1974 E type. No idea how effective they are but worth a try for £20. I suspect it will worsen FM reception and will only pull in strong DAB signals. From my experience, I agree with David, not very effective. You need to use one of these, placed on the windscreen alongside your passenger A post. #11 Re: DAB radio for 1974 E type. Have you used one of those? Certainly looks more discrete than the equvalent offered by Classiccarstereo.co.uk. 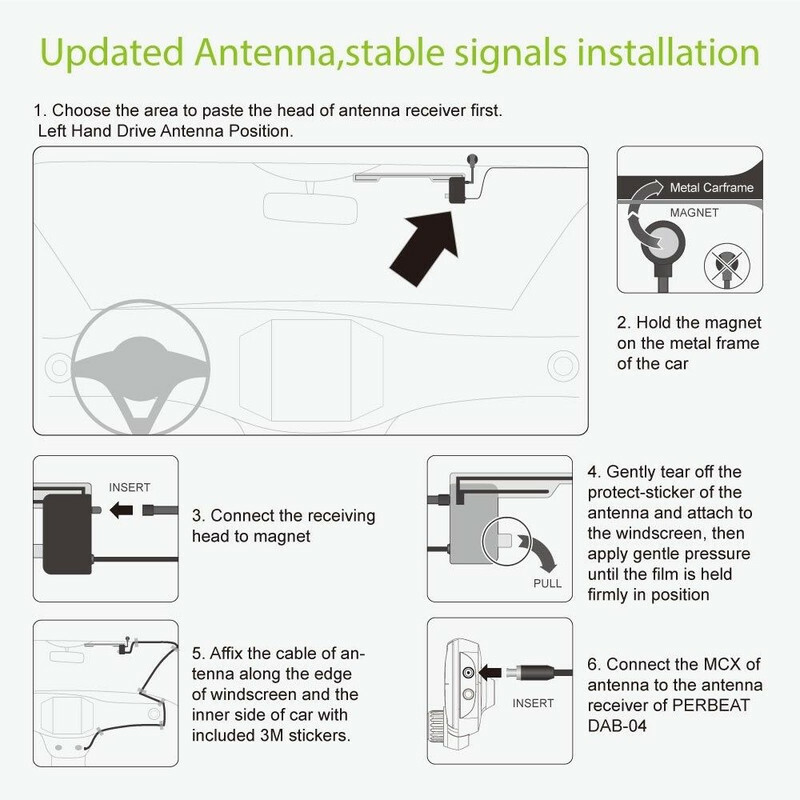 Do you know - does the antenna part have to be horizontal or can it be vertical along side the A-post? I contacted CCstereo this moorning and they are going to speak with the radio installer before coming back yo me. #12 Re: DAB radio for 1974 E type. I use a windscreen mounted with mine. It goes vertically. You get one in the box with many DAB+ radios these days. That one didn't have the greatest reception and I changed it and put in a ZEMEX DAB / DAB+ antenna which has been a big improvement. The best is always a body mounted aerial and a windshield mounted one will never be as good. #13 Re: DAB radio for 1974 E type. I've used the windscreen mounted antenna on two cars after trying and failing to get decent reception with the antenna adaptor types, in both cases sited vertically adjacent to the side windscreen pillar. Although it's not obvious until you get one, part of the adhesive film is an earth that has to be stuck to a metal frame. Like Mark suggests, I get the best DAB reception in a car with a dedicated bee string antenna that cost around &70 with both FM and DAB amplifiers with individual outputs but it's not suitable styling wise for an E type in my view. #14 Re: DAB radio for 1974 E type. Thanks for advices, John & Mark. #15 Re: DAB radio for 1974 E type. Have a look around on some of the forums. "good car DAB+ aerial" etc. etc. You should be able to get some recommendations for your exact requirements.